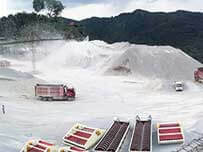 The new-type sand washing machine is a multifunctional sand washer, compared with other washer equipments, it not only has the washing function, but also has the material recovery of find sand washing machine, so its production is more higher than other general sand washers, and the quality of washed sand is excellent.Therefore, it won the favor of the most majority of customers. Nevertheless, some users find out that its working efficiency is not as good as the manufacturers said in the process of using, so, why? As we all know, everything will not as good as it once used, so as the sand washer. At this time, many customers will find their sand washer is not as good as it once used when it used after a perial of time, and reasons has puzzled they for a long time. 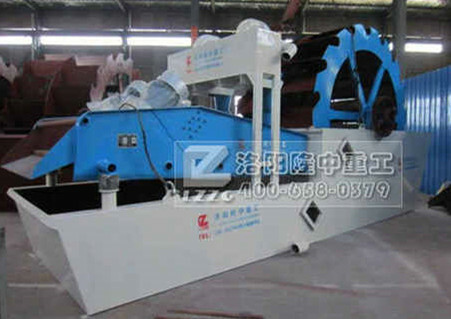 Now, LZZG will tell you the reasons for low woking machine of the new-type sand washing machine. Sand washer as a kind of outdoor washing machine, long-term outdoor work will make the machine exposed to severe cold , wind, sun exoposure.After a long period of time, the natural factors will accelerate the aging of the machine,thus affecting the low working efficiency of the sand washer. The better the quality, the higher efficiency of the machine. Quality exerts a very critical part in the machine, so, if customers want to purchase a better machine, try to choose a better sand washer within your limits. 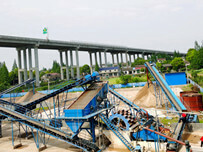 Everying needs regular cleaning and maintenance, the same truth for the sand washing machine. 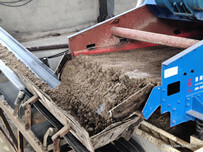 After operating for a period of time, regular cleaning and maintenance is necessary to make sure that the sand washing machine is in a normal condition. 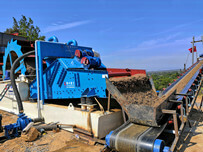 Previous：LZZG does a research for you about what is tailings dry dewatering system?